Want always appeared whenever and wherever the fragrance? 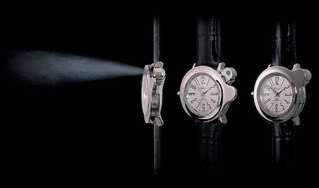 Maybe at the hands of this Venexx can help Perfume Venexx Watch is a watch for men or women who also have a place to store the liquid perfume in it. When you feel are not fragrant, live press the button and the “abrakadabra”, you will smell well again. 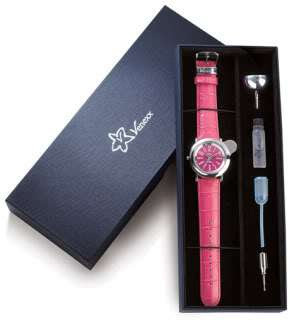 Watch Perfume Venexx sold for U.S. $ 150 and in the purchase package includes a pipette to “inject” the perfume into this watch. Venexx Perfume Watch has been on the market since 2004 and for all these years people who are in the know have regarded it as a remarkable trinket to be preferred to perfumed cream rings. It’s a useful and colorful accessory coming in a variance of colors that sprays out so you don’t get perfume on your fingers. The waterproof case is stainless steel – not guaranteed beyond, along with the leather band and a 39-mm scratch-resistant mineral crystal that is high quality and well see what they have on you. The spray is controlled by turning the bezel. Never run out of perfume with the included filler Venexx Oriental-Woody fragrance. The smells of Women offer a choice of passion fruit, raspberry or apricot on top, white freesia, jasmine flower bamboo for average, the basis of what gives you the option of sandalwood, amber, cedar, musk , patchouli, praline or Tonka. The replacement will not be coming until you have used it 60 times. You, as can easily fill the small tank in the back with a fragrance you want more.